Welcome to our wonderful Aliso Viejo limo rental service for your special occasions. ULC is one-stop shop for all your transportation needs. Our clients consist of business executives and leisure travelers who depend on us to provide them with the safest, most comfortable and reliable vehicles available. Our Aliso Viejo limo rentals will provide an excellent transportation service. ULC’s Aliso Viejo limousine service has the flavor of style, elegance and fun which makes us unique. You will be impressed with our superior limousines & corporate sedans as we usher you and your party to and from your destination seamlessly. Even just a night out with friends becomes an exotic adventure when we’re behind the wheel. We provide you the best Aliso Viejo limousine rental for your wedding ceremony. Give us the honor of helping you plan this great moment of your life. Just tell us what you envision for your perfect day and we will exceed every expectation in providing the most memorable wedding limo experience. 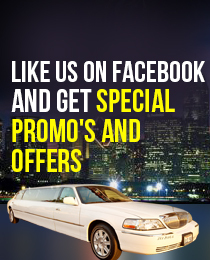 We have on board the finest Stretch limos, Hummer limos, or party buses. Which Orange Aliso Viejo Limo is Right For You?